FLOWERY HAT BOX W/HAT - Limoges Boxes and Figurines - Limoges Factory Co. 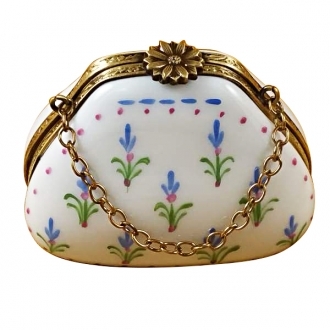 There are a number of Limoges porcelain boxes which are the mock-up Limoges creations of many everyday things. 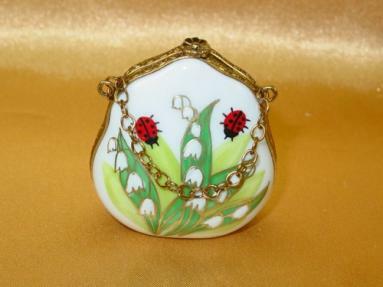 The Limoges artists take great pride in their skill in copying these things without compromising the details of their features. 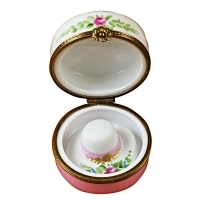 The Limoges box which is a copy of a miniature hatbox with mauve and white combination is an exquisite product. 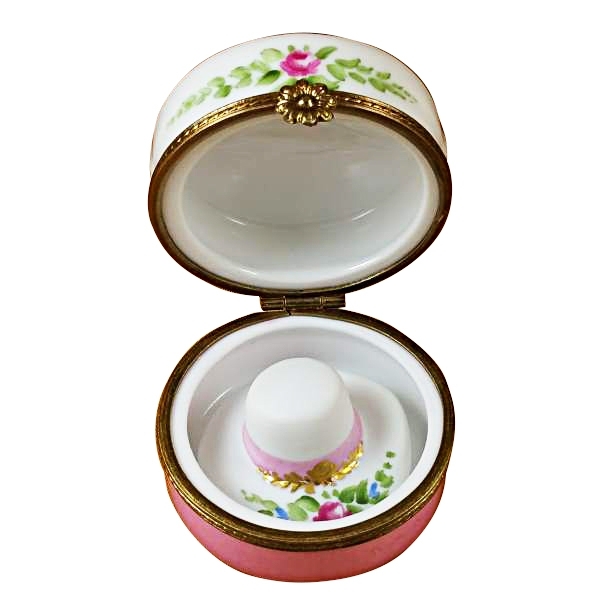 The beautiful floral designs in gold and pink really beautify this Limoges trinket box. 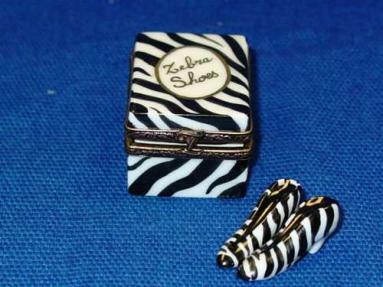 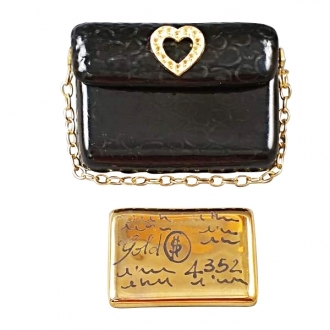 It can be the pride of any lady to have this on her dressing table containing precious trinkets. 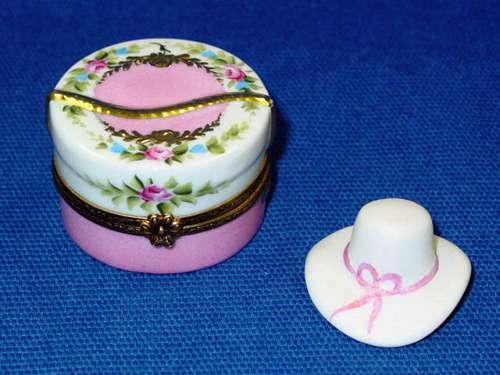 A removable white hat ties with a pink ribbon is also provided with it to complete the theme. 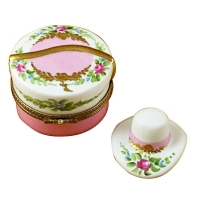 The golden handle of the hatbox is very decorative. 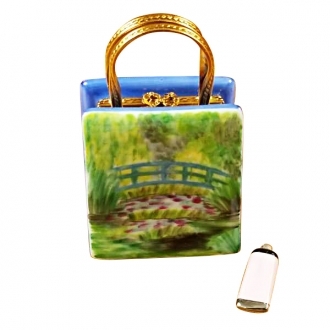 This can serve as a pretty gift article for a lady.